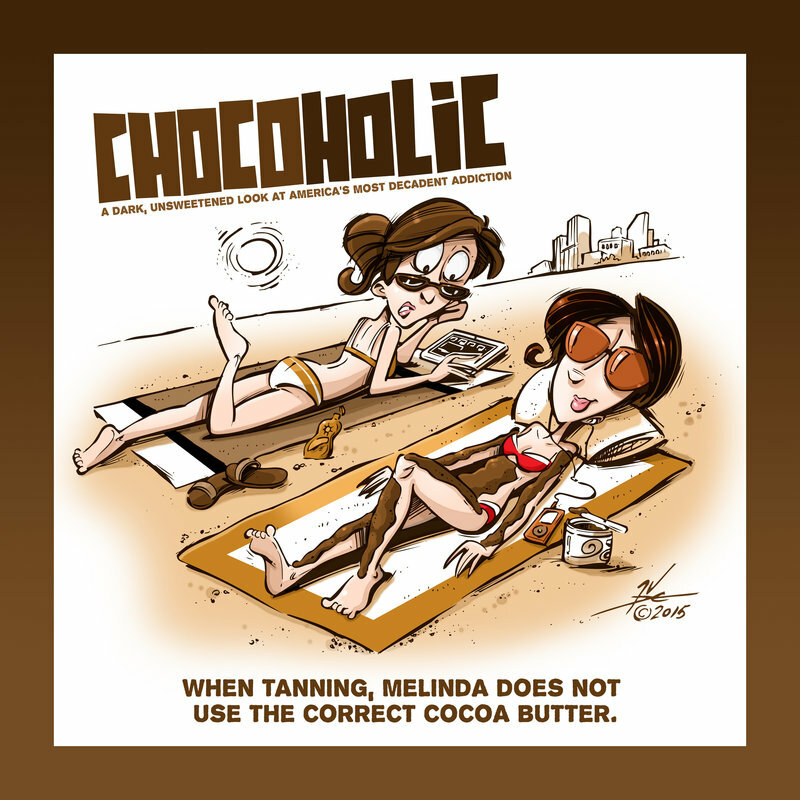 This is the story of Melinda Brown. 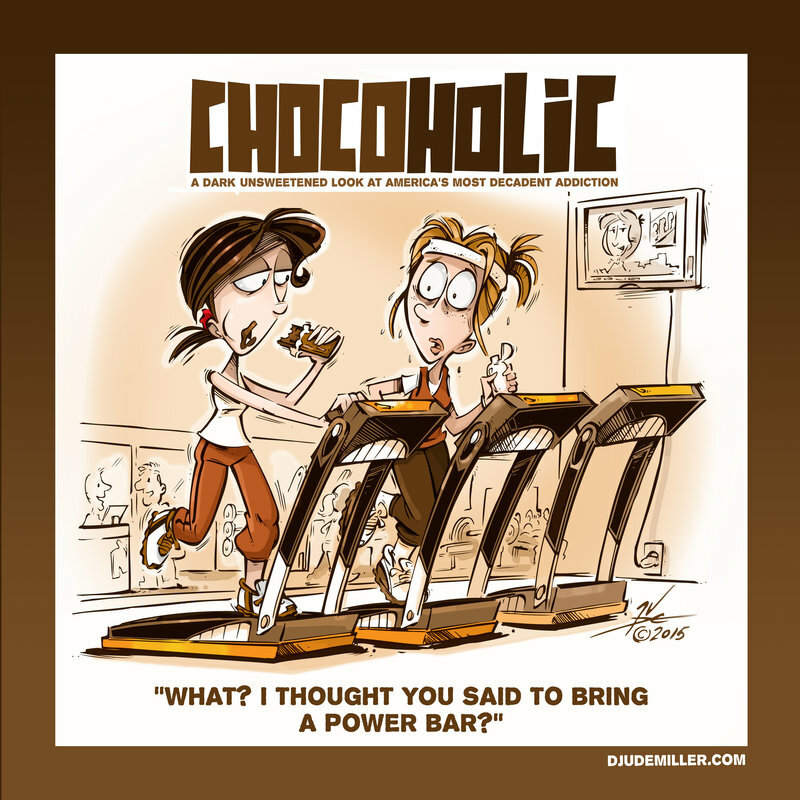 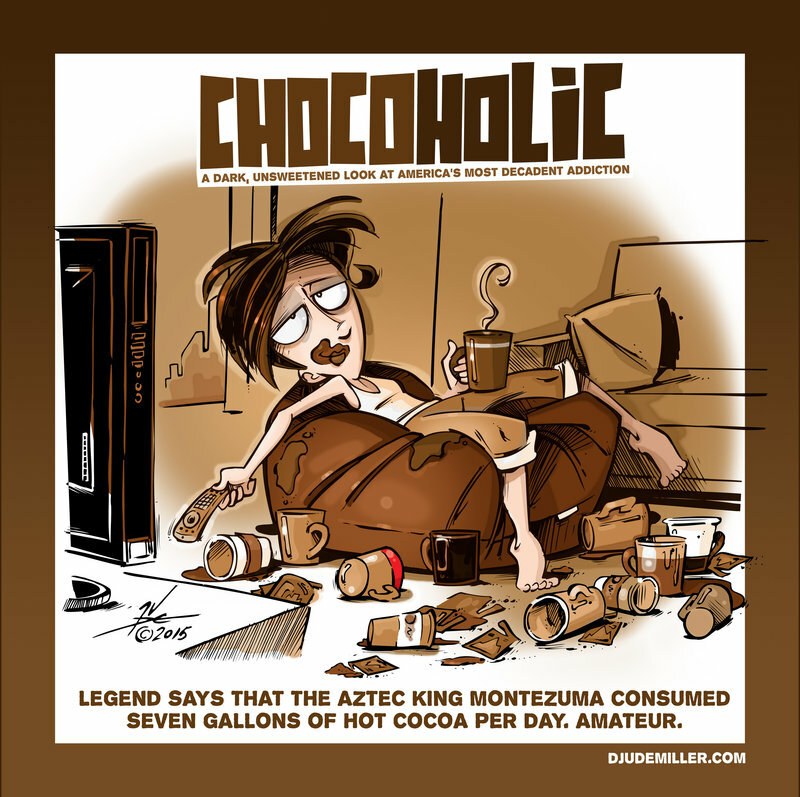 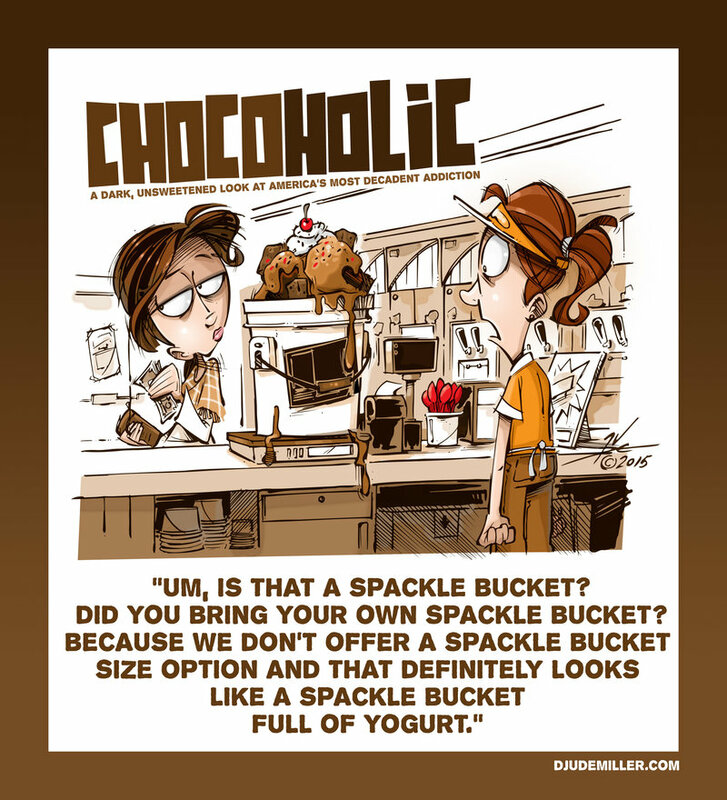 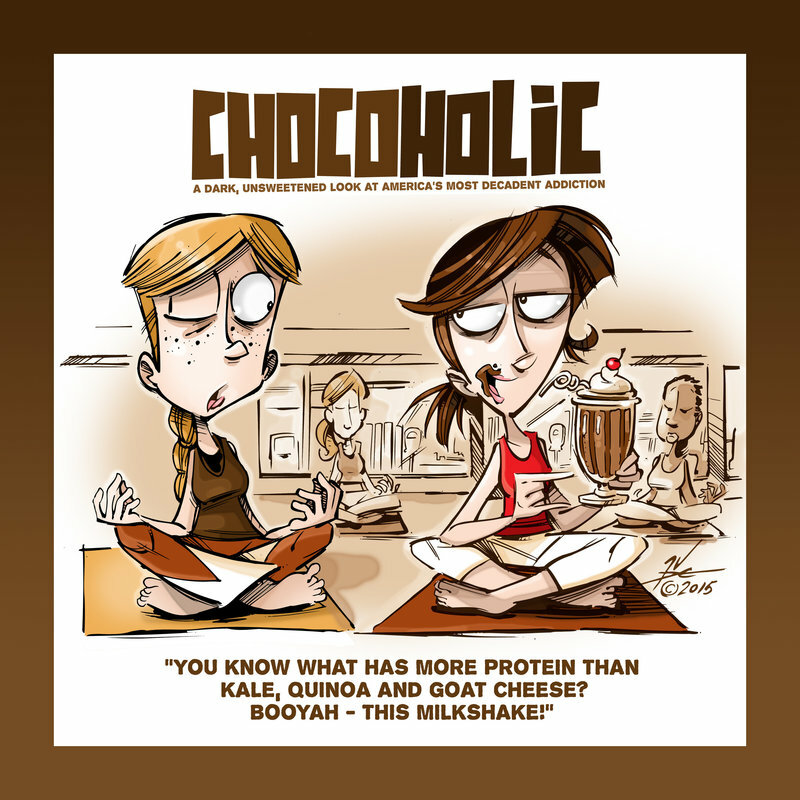 She is a Chocoholic and she is in denial. 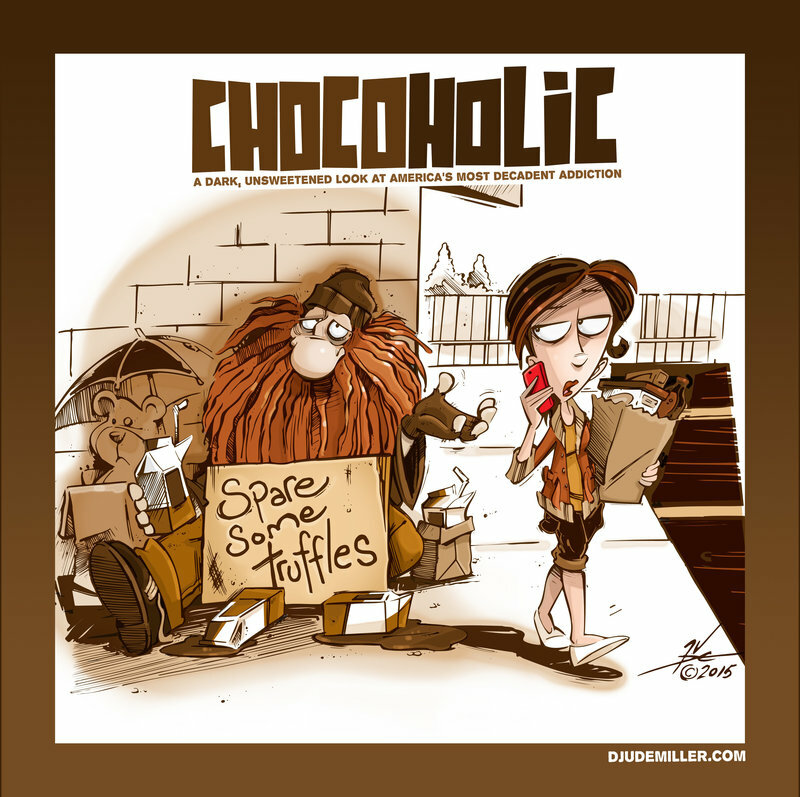 Melinda desperately needs help to battle her indulgent addiction but refuses to admit that she even has a touch of a truffle problem. 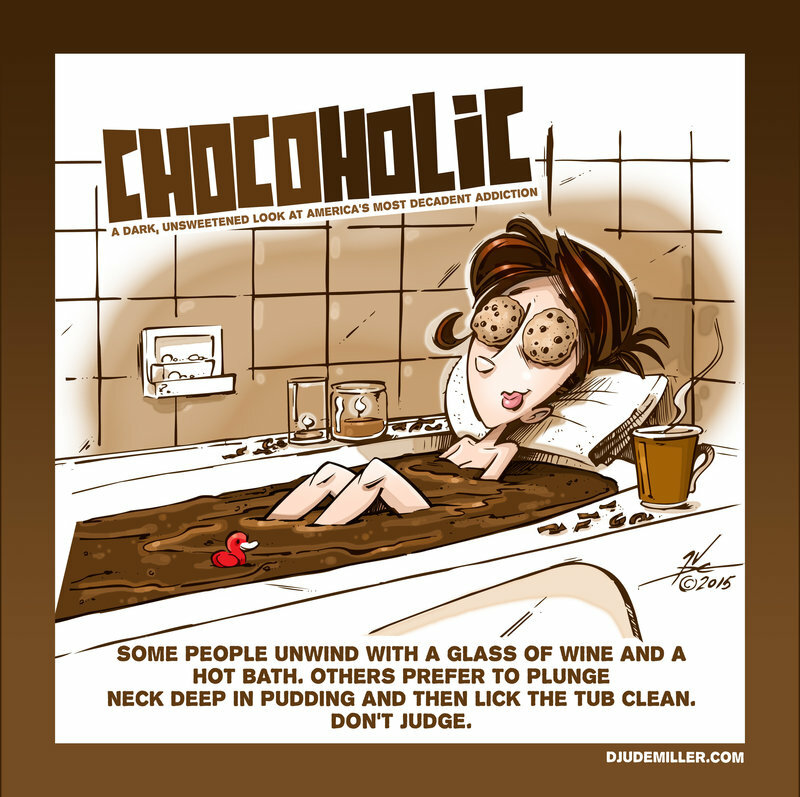 Besides, who doesn't love brownies at a birthday party, a chocolate cone on a warm summer day or a relaxing bath tub full of hot pudding? 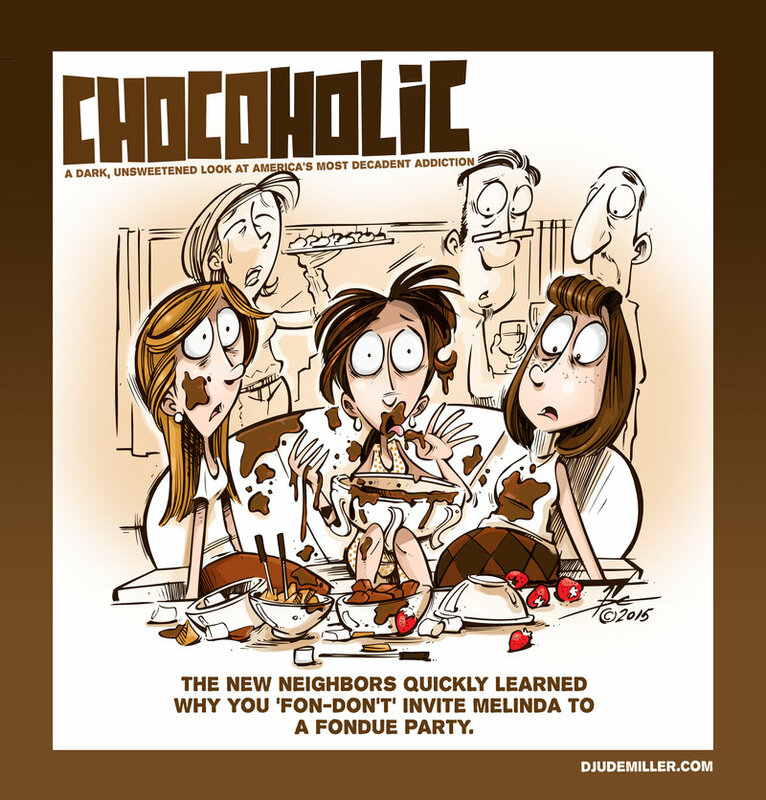 Yeah, Melinda has a problem; a big problem and unfortunately it's a problem shared by so many other Americans. 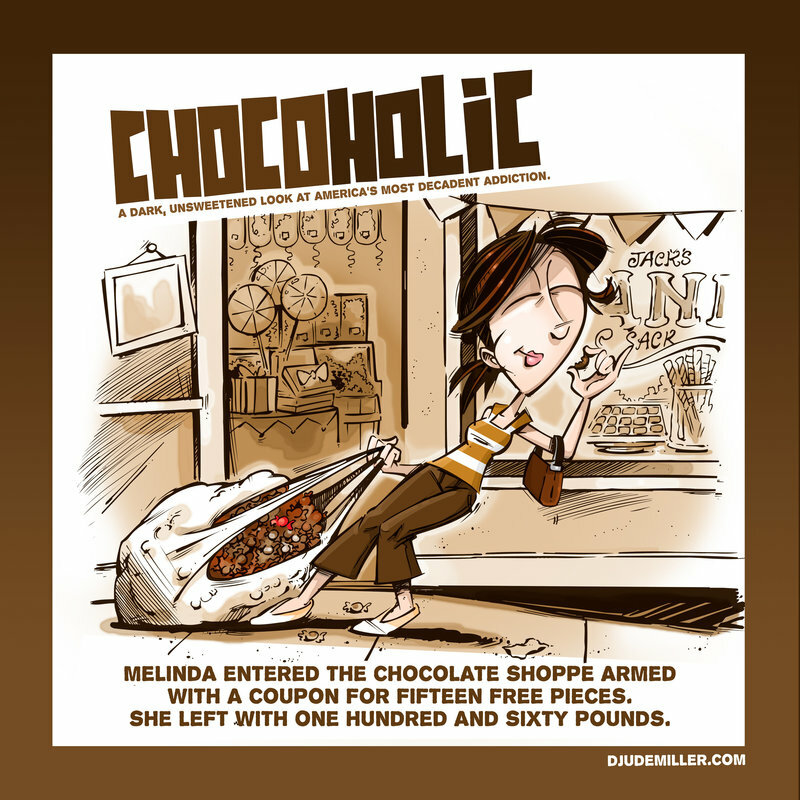 Melinda is a Chocoholic, and so are we all.